Popular video vixen Honey J. Willis also known as Honey Amber (She’s said many times that Amber Rose is her inspiration) finally met her idol yesterday. Honey claimed she drove 4 hours just to meet Amber. They took photos and Amber Rose (the real one) shared one on her photos on her instagram page. 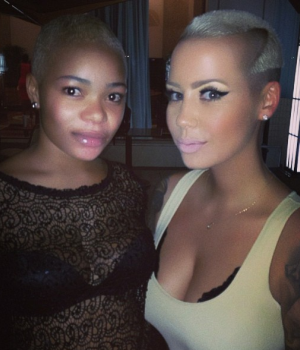 Photos: Amber Rose meets Nigerian Amber Rose 0 out of 5 based on 0 ratings. 0 user reviews.